Debit Cards vs. Credit Cards: Which is Most Secure? Over the years, debit cards have gotten a bad rap and have been eclipsed by the much sexier credit cards. Credit cards offer lucrative rewards that entice consumers to swipe away and spend — something that most debit cards don’t offer. No hidden fees and get paid up to 2 days early. Free to sign up and takes less than 2-minutes! Debit cards have a reputation for being unsafe because they are connected to your checking account. That is your money — real money. You don’t want anyone to mess with that. I totally get it. But there are consumer protections out there, so you’re not totally screwed if your debit card gets into the wrong hands. In fact, according to the Federal Trade Commission, if your debit card is lost or stolen and you report it within two days, the maximum loss you can sustain is $50. You definitely want to report a stolen card immediately because if you wait more than two business days, you could be liable for up to $500. And, if you report it 60 days after your last statement, you could be at a loss for the total amount. Indeed, if you regularly use your debit card, you’d probably notice if it went missing pretty quickly. But, if you don’t use it all the time, make sure you regularly check your wallet to make sure it’s still there and if not, report it missing right away. You also may be able to sign up for fraud alerts with your bank so you can be notified if there is any suspicious activity. Talking about suspicious activity, here are some other things you should know when it comes to debit cards and fraud. For starters, if you still physically have your card, but someone uses your debit card number to make unauthorized transactions, you won’t be on the hook for those transactions if you report it within 60 days. Also, you might be completely covered for fraudulent activity if you use a Visa or MasterCard. 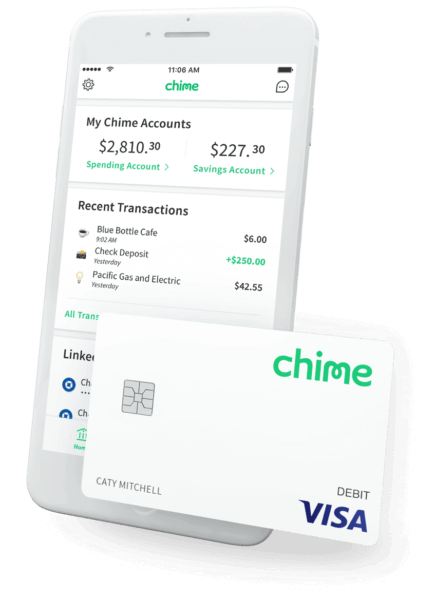 Both Visa and MasterCard have policies in place that protect consumers against unauthorized purchases, and Chime members can rest easy knowing their Chime Visa Debit Card is covered by Visa’s Zero Liability Policy. Keep your PIN to yourself. Don’t write it down where others can find it or even put the number in your phone. Review your transactions regularly — at least weekly or even daily if you can spare five minutes a day. Put your hand over the PIN pads when using your debit card. This way no one else can see your PIN. Sign up for fraud alerts with your bank so you’ll be notified of suspicious activity. Only keep the cards you need in your wallet. Using a little precaution and common sense, you can make sure you are protected when using your debit cards. Debit cards offer a few advantages over other payment methods. True, debit cards can’t build your credit nor do they come with the same rewards as credit cards. But, they can help you in one key area: spending. The biggest advantage of debit cards is that you’re less likely to overspend. Using a debit card, you typically only spend what you have available, whereas with credit cards you can quickly rack up an enormous amount of debt in a short time. There have also been numerous studies, including this one from MIT, that illustrate that consumers spend more when using credit cards. Debit cards are also safer than cash. If you lose cash, you’re out of luck. If you lose your debit card, there are protections out there that have your back. Additionally, you can track your purchases and budget when you use a debit card. In the world of payment options, it often seems like cash is king and credit cards are in fashion, while debit cards play second or third fiddle. However, debit cards are safer than you think and can help keep your spending in check.